The primary focus of the TURF CARE SPECIALIST is to care for the turf on our client’s properties. You will be responsible to get to know your routes, your clients, and the landscapes you care for. You must know turf, how to make it grow well and how to treat it when it has a problem. You must be the kind of person who is detail oriented and capable of following strict protocol for the work you do. There is no margin for error and you must thrive in that environment. You are caring for a valuable asset – an H&G customer – and you must treat it as such. Your day will begin bright and early as you pull in to the H&G office. You will already know what you are doing for the day since you reviewed your route the night before. Right away you begin mixing the tanks on your truck if you will be working with a liquid application, or loading the bags if you are using a dry treatment. There are specific reasons to use each type of product and you know when to use what. You go over your route with the rest of the team and get yourself ready to go. Then it’s off to the jobsite. You drive the truck carefully, since you know it is a gigantic moving billboard that tells the entire world who you work for. You take that responsibility seriously, just like all the others. You enter beautiful neighborhoods and pull up to a great house. You quickly assess the lawn and take out the appropriate equipment. The work of making the application leaves you a bit winded, but you’re OK with that because you like getting paid to stay in shape. You finish up the application, make notes and leave a statement for the customer. Then it’s off to the next property. This pace continues through the day. A few times your cellphone rings with a question from a customer, a co-worker. Your Blackberry buzzes throughout the day as the team throws around good-natured insults, words of advice or pleas for help. Sometimes a client will stop you to ask a question. And sometimes they may even give you a glass of cold lemonade and a cookie! Now that’s cool. All in a day’s work! You return to the office tired yet strangely energized. You feel like you’ve accomplished something. You’ve done good for the environment, made a number of people happy and completed some serious production. You clean up the truck, turn in your tickets, and review the next day’s agenda. The office is a bee-hive of activity. It’s so loud you can hardly hear yourself think as everyone shares their stories for the day. You review your production goals and see how things stand company-wide. Wow, you say, what a great place to work! OK, so that’s all wonderful. Now for the bad news. There are plenty of times in the middle of the summer when it gets hot, really hot, and that glass of lemonade never appears. Production is behind. “The Boss” is riding the team’s back to get caught up. You’re about sick of looking at lush green lawns. (Wait, no, that’s not possible.) Then, on top of it all, the sprayer starts acting up and you don’t know how to fix it. Yuk! What did you get yourself in to? I admit it’s not a bed of roses. That’s why they call it work. However, in the end I hope you will find it worth your while. I want this job to be fun for you, good for the environment, meet a customer’s need, and make a reasonable return on investment for the company. Working together, that’s exactly what we will do. You have to love landscapes, plants, the environment, or have some reason why you want to do this type of work. Why is that important? Simple. I want you to be passionate about what you do. I want you here for the long-haul because I do not like turnover. I plan to make an investment in you and see it pay off. The only way that will happen is if you have chosen this line of work and my company and plan to be in it as a team player. You have to be detail oriented. The work you will perform requires great care and skill. It requires mental attention all day long. Come prepared to show how you meet this requirement. We look for a strong work ethic. I will not tolerate a scatter-brained idiot who messes up my customer’s yards, treats my customers poorly, or screws up my equipment. If you want to be lazy and find some job where you can scoot by unnoticed, do not apply at Hertzler & George. It will not work out for you. You’ll need a valid driver’s license since you will operate a company vehicle. You will also need a pesticide applicator’s license either when you start or within 30 days of beginning your employment. Click here to learn more about the process in Virginia. We will be happy to train. You’ll need to be physically fit. The work is outdoors in all types of weather. It will be exhausting at times. A certain level of mechanical aptitude is essential. You will operate a truck and various types of equipment. Typically you will be in the field where you may have to make small repairs or adjustments on the go. Bottom line, you’ll have to be comfortable doing these things or fall into category 3 above. You need to be adept with information technology. 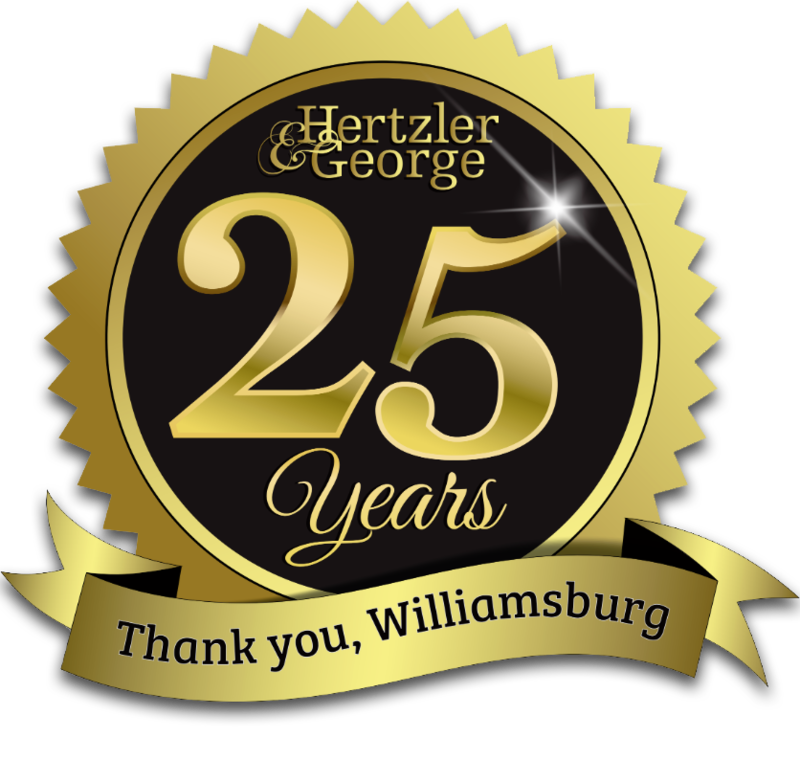 Computers, email, smart phones…they are very much a part of our lives today and will be a part of your job at Hertzler & George. Ask anyone who works for me: I love technology. I want to harness it in every way we can to make the business better. Simple fact is that if you are not able to use technology and to learn new systems quickly, you are a dinosaur and your days as a useful member of the workforce are numbered. Mark my words and take that to the bank. So that’s my description of the job. Below is the boring formal description. Thanks for considering this position on our team. Call us with any questions at (757) 229-9668. To apply for the positions, send your resume to jobs@hertzlergeorge.com and include the position title in the subject heading. Performs lawn care services; obtains daily Work Orders from DIRECTOR OF TECHNICAL SERVICES; performs specified work in compliance with local, state and federal regulations; applies pesticides, fertilizers or other materials to client properties; operates Sprayers, Spreaders, Aerators, Backpack Sprayers, and other equipment. Performs integrated pest management services; obtains daily Work Orders from DIRECTOR OF TECHNICAL SERVICES; performs specified work in compliance with local, state and federal regulations; applies pesticides, fertilizers or other materials to client properties; operates Sprayers, Spreaders, Fertilizer Applicator, Backpack Sprayers, and other equipment. Mixes pesticides; obtains mixing assignment from DIRECTOR OF TECHNICAL SERVICES; removes pesticide container from storage facility; mixes pesticide according to label instructions and company policy; replaces pesticide container in storage facility; disposes of empty containers as per label instructions. Interacts with CLIENT; answers simple questions regarding the nature of the visit and the materials applied; refers more in-depth questions to DIRECTOR OF TECHNICAL SERVICES; notates CLIENT request for additional services on Request For Service form. Maintains paperwork; notates on Work Order details of the work performed during visit, date, time, name,weather conditions, and materials used; places client portion of Work Order along with a Return Envelope, and appropriate Service Notes in plastic hanger-bag and places on CLIENT door or gives directly to CLIENT; tracks hours worked on Office portion of Work Order; places completed Work Order and other materials in the Completed Job Slot at end of day. Operates Motor Vehicles; transports crew members and equipment to job sites and back; purchases fuel at approved VENDOR locations; gives gas receipts to DIRECTOR OF TECHNICAL SERVICES whenever fuel is purchased; keeps vehicle’s interior and exterior clean. May work with other crews; performs landscape installation, construction and other tasks under the supervision of SUPERVISOR. WORK EXPERIENCE: The employee with no prior training could learn the details of the work in about twelve months. ESSENTIAL EXPERIENCE AND TRAINING: The employee must be able to identify the most common trees, shrubs, grasses and weeds typically found in the Tidewater area. The employee must be adept at mixing and applying chemicals as indicated by pesticide label and company practices. LICENSING: A current driver’s license and a driving record free of DUI and Reckless Driving charges are required. A Virginia Department of Agriculture Commercial Applicator’s Certification, categories 3-A and 3-B must be obtained within 30 days of start of employment. DEXTERITY: The skills to operate power equipment, motor vehicles, and various hand tools are essential. PHYSICAL CONDITIONING: Due to the strenuous nature of the work, the employee must be physically fit. The employee must be able to work outdoors in all types of weather conditions and temperature ranges for up to 10 hours at atime. The employee must be able to lift and handle 50 lbs. with ease. The employee must be able to withstand 15-30 minute periods of physical exertion several times daily without becoming winded or tired. JUDGEMENT: Due to the potentially dangerous nature of the work, the employee must demonstrate sound decision-making ability. The skills necessary to assess the risk inherent in a situation and take steps to minimize any threat to person or property are essential. The employee must be able to maintain a clean and neat personal appearance as well as the same for all equipment operated. The employee must keep all chemicals and equipment in strict operating order. MECHANICAL ABILITY: The employee must be mechanically adept. The skills necessary to assess a mechanical failure and make minor repairs are essential. The employee must be able to understand and demonstrate the proper operation of a variety of machines and spray equipment. CHARACTER OF SUPERVISION RECEIVED: Specific work assignments are given to the employee by the immediate supervisor. Progress on the work is monitored periodically throughout the day by the immediate supervisor. RESPONSIBILITY FOR VALUABLES: The employee is responsible for the vehicle and equipment assigned for the day. The employee protects equipment from theft, misuse and misplacement. The employee may be subject to civil and criminal liabilities resulting from the misuse of regulated chemicals. RESPONSIBILITY FOR GETTING ALONG WELL WITH OTHERS: The employee must interact with supervisors, other crew and office staff as part of a team.The employee must posses the skills to interact with CLIENTS when they are agreeable and when they are hostile. PRESSURE OF WORK: The exacting nature of the work and the potential for misuse of regulated chemicals requires the uniform mental attention of the employee. WORKING CONDITIONS: The employee works outdoors in all types of weather conditions and temperature ranges for up to 10 hours at a time. The employee works with potentially dangerous chemicals, although precautions are taken to eliminate and/or minimize any threat.